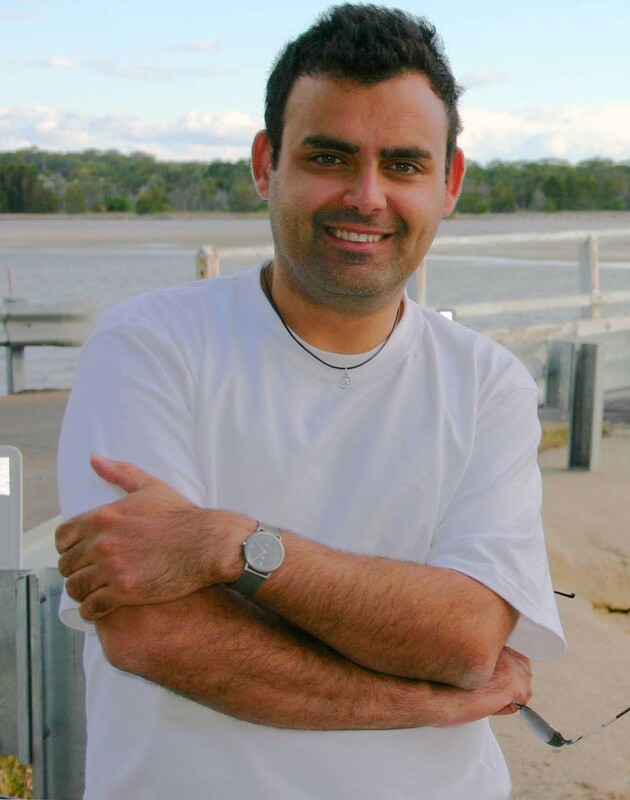 Jes Grixti is a recipient of The Jandtha Stubbs Trust, and earned a Doctor of Philosophy (PhD) as well as Master of Music (MMus) degrees in composition from the University of Melbourne, Australia. Undergraduate study comprised a Bachelor of Music First Class with Honours (BMusHons) in Composition and Theory from the London College of Music,University of West London, [previously known as Thames Valley University], UK; diplomas and certificates from UK (Associated Board of the Royal Schools of Music, London College of Music); and Italy (Accademia Musicale Chigiana, Siena; Civica Scuola di Musica, Milano; Accademia Internazionale Superiore di Musica, Biella; Conservatorio Statale di Musica Giuseppe Verdi, Milano) through the support of an Italian Government Scholarship. Jes’ composition teachers have included Carmelo Pace (Malta), Michael Regan (UK), Franco Donatoni (Italy), and Brenton Broadstock (Australia). He read musicology with Michael Christoforidis (Australia) and conducting with Emilio Pomarico (Italy). He participated in composition workshops with Simon Holt and the Endymion Ensemble at Royal Holloway, University of London (2004) and with the Universities of Malta and Melbourne. He is also a registered teacher and holds a Graduate Diploma in Teaching and Learning (GDTL) from Charles Darwin University, Australia. As a visiting scholar (2007) he worked with Don Freund at the Jacobs School of Music, Indiana University USA, addressing seminars at this institution and the University of Louisville. Jes was also invited to Yale University to attend a composition seminar hosted by Prof Martin Bresnick. Jes has been selected as one of the composers-in-residence for 2009 at Visby International Centre for Composers, Sweden, and in 2014 as a composer in residence in Cyprus. Appointments include The University of Melbourne, and the Australia National University where he taught Orchestration and Twentieth Century music techniques; Canberra Grammar School as Composer-in-residence, lecturer at the United States International University (USIU), Nairobi, Kenya, and External examiner for Makumira University College, Tanzania. Visiting Fellow at the Australian National University. In 2015 Dr Grixti was invited to come to Malta to provide his professional competence with the Ministry for Education and Employment. Jes' other interests include scoring for film music and multimedia, (recipient of the Billy Joel award in screen compostion for his outstanding talent,New York, USA) music theory, sacred music, indigenous music and performance. Major commissions and performances include CHOGM (Uganda 2007 and Malta 2005, and 2015) representing Malta as part of the Commonwealth Resounds! Festival and Commonwealth Peoples Forum and European Pianorama project. His music also opened the National Multicultural Festival (2007), Canberra which is Australia's largest annual cultural festival. Opening nights have also included the inaugural annual Maltese Australian Cultural Week (2004) where his piano toccata and presentation of contemporary Australian music wowed audiences and premiered this genre to Maltese audiences. Commemorations include Nairobi Orchestra's 60th Anniversary (2008) where Jes' composition was specially commissioned for the programme. Similarly Jes' orchestral music brought together the Maltese Diaspora of Australia by combining traditional instruments of both islands for Malta's 40th Anniversary of Independence (2004) which was graced by HRH Princess Anne and the President of Malta. Notably, both orchestral works marked him as the first composer to receive a commission from the National Orchestra of Malta and the Nairobi Orchestra. Innovately he has also contributed to the appreciation and development of Sacred Music composing a modern concert mass for two soloists and ensemble (2005) which centred on St Paul's conversion to Christianity. Jes collaborations span burgeoning artists to world class performers including Baroque Flute player Horacio Franco, Trombonist Barrie Webb, Concert Pianist Michael Kieran Harvey and Stefan Cassomenos, Harpists Marshall McGuire and Cecilia Sultana De Maria, Saxophonist Grant Chamberlain, Percussionist Peter Neville, Guitarists Simon Schembri and John Couch, Malic Symen Recorder Quartet (Netherlands), Silo String Quartet (Australia) and Conductors Marco Zuccharini and Michael Laus. Publication of Grixti’s music includes the MPS (UK) and MCL (Australia) label. Jes is the only living Maltese composer featured in the Malta section authored by Prof Henry Frendo in the Cavendish publication 'World and its people’. Jesmond Grixti's new work Ritrovandomi Perdendomi was premiered in PLEXUS: Pulsations on 11 May 2016 at the Salon, Melbourne Recital Centre. If proof were needed that music is the mirror of the soul, then Ritrovandomi Perdendomi most surely provides it. Its short lived opening bars are portentous, in contradistinction to those of Beethoven's fifth which are exultant. There are some similarities but they are not meant to be as assertive as Beethoven's, rather they are understated, almost like a distant rumble of thunder on a dull but not threatening sky. They acknowledge the turmoil, hidden, suppressed but still there. You almost see the blind, distressed man reaching out with his outstretched arms left, right, front, trying to find a solid anchor to hold on to. However, very soon, almost immediately, the piece develops themes indicative of efforts in coping. Elegant phrasing, suggestive of the routine of life and solace in work are interspersed with the rare spurt of optimism. This reflection of coping with distress is developed further, it becomes more laborious but not more distressed. It brings to mind a tired but not exhausted pilgrim, head down, plodding on. It progresses, perhaps somewhat more resigned but with infrequent flurries, at times plaintive and at others wistful, perhaps as memories rise up to conscious levels. Some frustration and exasperation sets in, indicated by rapid chords. Impatience raises its head with the odd anguished groan. But slowly it settles, as if in a rocking chair, looking somewhat dazed, unthinking, at flat, dimly lit countryside without taking anything in. A sense of emptiness, as one drained. Some peace starts to permeate the mood, as if the hurt were still there but any bitterness has been expunged. The distress is not violent but leaves the soul dazed, in limbo. A sudden forceful chord, not of anger really but of overwhelming angst, followed by a clarion call of rebellion to fate, raise their heads for a very short time but are smoothly, rapidly but imperceptibly, phased into a sense of equanimity, not quite serenity, with even the odd flicker of happiness. This evolving serenity is modulated into a pulse-like melody, as of the heart of someone ambling in the country, not actively searching for peace but unconsciously approaching it. The odd quickening, as might be caused by the delight at the sight of a milky white butterfly fluttering past a moss covered boulder or the sweet scent of trodden thyme, start to suggest some happiness may be in the offing. The melody, ever so softly, is further developed along the same lines, a harbinger of resolution, seeming to end in soft symphonic phrasing leading one to expect glorious bright chords but instead fading away completely only to, immediately and unexpectedly, explode into an explosion of primordial chaos, as of an exploding nova, signifying the end of the star but the beginning of a new unknown. However, there is virtual, if not absolute, certainty that out of this chaos will shine ultimate and definite serenity. The last chords seem to indicate with more confidence that a new light has appeared that, while small, is steady and destined to grow and envelope everything in its warmth.